Mumbai Bistro has branched out of Center City Philadelphia and into the suburbs, Philly.com reports. The Indian restaurant recently opened in West Chester (18 S. Church St., 484-887-0114), where the buffet and table-service menus list gluten-free options. 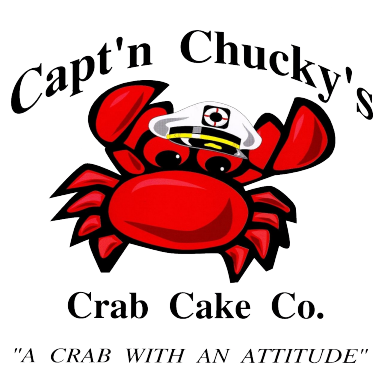 Reader Cheryl F. let me know that Capt'n Chucky's Crab Cake Co. has a gluten-free version of its award-winning Smith Island Crab Cake, which is available "to go" at all locations (Newtown Square, Chester Springs, Trappe, Blue Bell, Colmar, Yardley and Wilmington). Most stores also stock gluten-free New England Clam Chowder. "Opening soon" is the word from Seasons Pizza about a new location in Huntingdon Valley (2975 Philmont Ave.). Gluten-free pizza will be available. 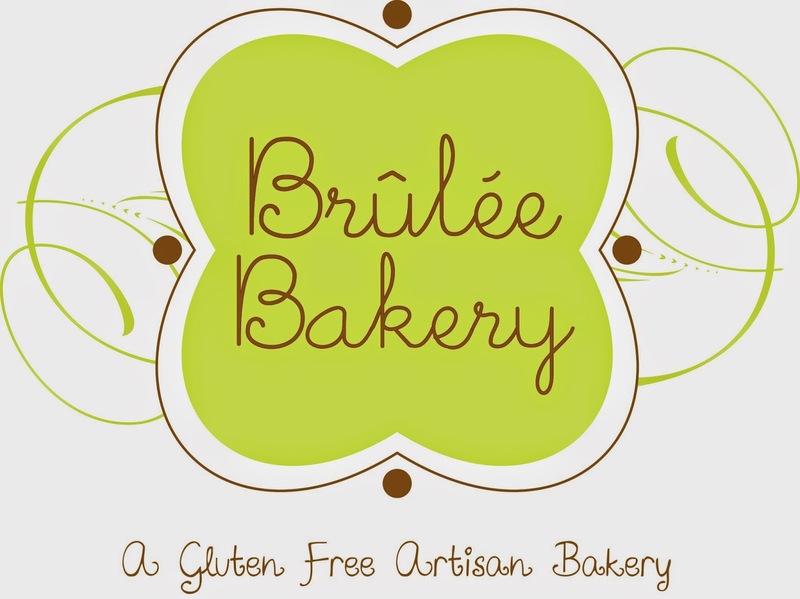 Brûlée Bakery is now entirely gluten free. The farm-to-table bakery, which offers muffins, cookies, cakes and other pastries, delivers to the Main Line area and Center City addresses and ships as well. Selected products are sold at the Bryn Mawr Farmers Market, Ardmore's Clover Market, and at MOM’S Organic Market in Bryn Mawr, Martindales Natural Market in Springfield. among other locations. In Tuesday's post, I rounded up gluten-free fare at the regions's many theme parks - from Hersheypark to Great Adventure and more. 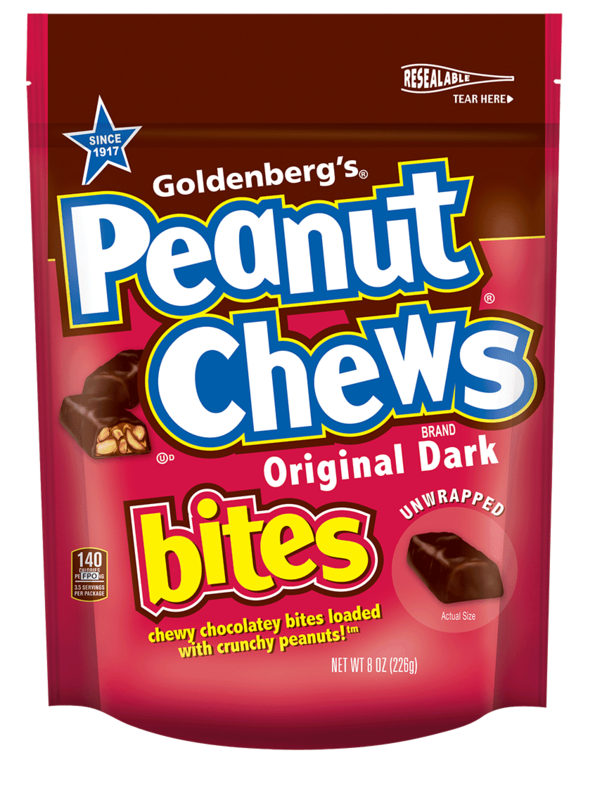 Philadelphia-made Goldenberg's Peanut Chews has just introduced Goldenberg’s Peanut Chews Bites. The chewy, chocolatety, peanutty candy is now unwrapped, sold in an 8-ounce stand-up bag for $3.99. CraveRight Chocolate Chunk, Chocolate Brownie Chunk and Sesame cookies, which are 100% vegan and gluten, soy and nut free, are now available at Whole Foods Markets in Philadelphia and Princeton. Annie's has introduced a variety of Snack and Mini Meal Kits, combining popular snack and meal items in a shelf-stable, kid and adult-friendly kit. 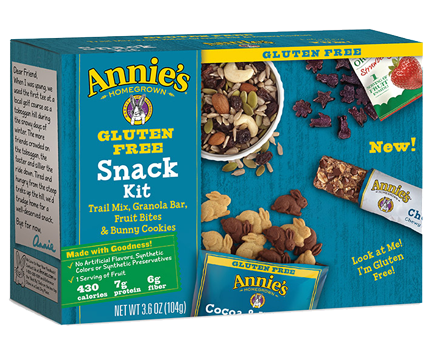 The Gluten-Free Snack Kit includes Organic Trail Mix, Annie's Double Chocolate Chip Granola Bar, Annie's Cocoa & Vanilla Bunny Cookies and Annie's Organic Orchard Strawberry Fruit Bites. The Gluten Free Mini Meal Kit combines Annie's Rice Pasta & Cheddar Microwavable Mac & Cheese Cup, Annie's Cocoa & Vanilla Bunny Cookies and Annie's Organic Orchard Strawberry Fruit Bites. The kits will be available beginning next month exclusively at Target for $3.99 per kit. Ancient Harvest, the first brand to bring quinoa to the United States in the 1980s, is expanding with the launch of new non-GMO Mac & Cheese and Culinary Ancient Grains lines. The new Mac & Cheese line includes four flavors and shapes, including White Cheddar, Sharp Cheddar and two varieties of Mild Cheddar - traditional and a kid's variety with llama-shaped pasta. The new line of Culinary Ancient Grains is made up of a blend of quinoa, millet and amaranth and offers four varieties: Sea Salt and Herb, Butter and Parmesan, Spanish Style and Spicy Curry. The ShopRite in Somers Point (23 Bethel Rd., 609-927-8133) will be having a Gluten Free Festival tomorrow from 11 a.m. to 2 p.m. There will be coupons for Schar and True Bar products, samples of Kikkoman soy sauce, Super Seedz, Utz and Boom Chicka Pop, and info about the gluten-free diet, as well as a raffle for a gluten-free gift basket full of goodies.